Just as at the eye of the hurricane there is stillness, so in the midst of confusion or distress there is an inner place of stillness, the secret place of the Most High. The last year of my life was very hectic. I went from being unemployed to serving as an AmeriCorps VISTA Volunteer, more than hour-long drive away from home. Most of the time, I wasn’t mindful. I spent months walking around tense and uncomfortable. Stressed-out and irritable had become my default way of existing. We all know people who live this way. And I certainly don’t think I need to lecture you on the fact that many illnesses are preventable because they are stress related. What I am going to say, though, is that I started this blog so I could exist in this world without succumbing to its torments. Over the last year (or two) I wasn’t blogging and I wasn’t doing anything about my stress levels. My solution to stress has always been to immediately abandon the operation: My health came first and either I would let go of the goal entirely, or find another way to reach my goal. Sometimes, this isn’t always feasible. I couldn’t didn’t want to quit my job. My actual job wasn’t all that stressful, and it was a joy to be around the people I worked with. My commute, however, seemingly sucked all my energy and free time from me. Life started to feel like a never ending wash, rinse and repeat cycle. I’d squeeze in grocery shopping, cooking, laundry and whatever other chores that were obligatory for me to continue existing as a human and working at my job. But the problem with wanting a slow-paced life, and having a fast-paced job is that these two life choices are at odds with one another. So how could I find the time and space to just relax, when there seemingly wasn’t any? While waiting, I always felt impatient, stressed out, frustrated, and in a hurry to get on with my day. I felt my time was too valuable to just be standing around doing nothing while I have to wait to get one menial task completed. Especially when this waiting time, I thought, could be better served, well, not waiting, of course. But the mindfulness I learned by practicing yoga made me realize that I was missing an opportunity. I was missing an opportunity to take some deep breaths. I was missing an opportunity to clear my head. I was missing an opportunity to center myself. I was missing an opportunity to calm down, find peace and relax. I lamented the fact that I had no time to relax, but I ignored all the time I did have to relax. Those little quiet moments I had between the crazy, busy ones, were moments I decided to reclaim for myself. 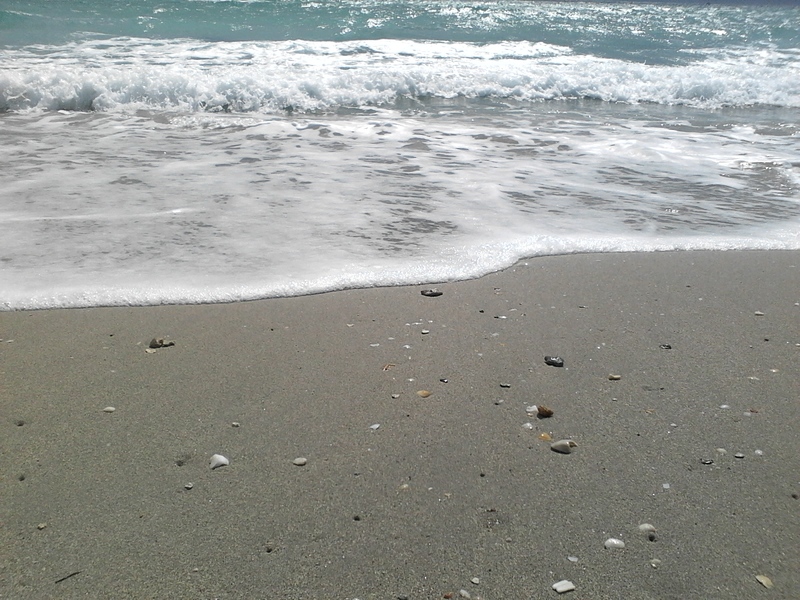 Every moment that I was “waiting” was a moment to find peace. Now, I try take those little moments to come back to myself: relax the tension in my neck and shoulders, quiet my mind, and release any lingering worries or thoughts. Maybe even say a prayer. You may not have long spans of time where you can just relax, but I bet you have plenty little moments in-between the busy ones where you can re-center myself. I’ve been going about this slow-paced lifestyle all wrong: trying to ease the stressors of everyday life by trying to organize the outside factors in my life. I’m not saying that doesn’t help, but it certainly doesn’t solve everything. I’ve had an epiphany just now and realized that it doesn’t matter how empty my house is, (minimalism) or how stress-free my work environment is, if I’m not contained in a bubble of inner peace. I need an aura around me that neutralizes any energy that conflicts with stress-free, slow-paced life I’m trying to establish here. Because even if my world is chaotic, I won’t even notice if I’ve surrounded myself in 360 degrees of inner peace. Yesterday was a pretty horrid day at work. Things did not go my way. And I took to the Internet looking for a way to assuage my anger and frustration. It’s funny how all articles geared towards calming you down are really there to shake their finger and say you shouldn’t have gotten angry in the first place… helpful, right? Well it didn’t help me. So I after watching too much anime (call me a nerd, I don’t care), I realized that I needed a bubble of protection. So, no matter what the goofballs swing at me, their thoughts/actions/energy wouldn’t touch me. Imagine a sword having no effect as it nears your body; the sword melts into oblivion while you stand there protected by your bubble/positive aura/whatever. Where might I get this bubble you might ask? Well I’m going to pull it out of the roots of my being and surround myself with it. And what the heck am I going to pull out of I’m feeling horrid? I’m going to pull out the wonder of the universe. I’m going to connect with nature, and use the full force of the Universe to support me. I’m starting to think that reconnecting with nature will help me establish a strong, stress-shielding bubble. Ah, but what about the anger, you say? All this thinking and I hadn’t figured out how to get rid of it. Until I found a couple YouTube videos on guided meditation. I watched this one video…. focused my attention on these naturalistic images, pushed my thoughts away, and the anger began to subside. After a second and third video, I started to feel a little better. But what I realized is that you have to be ready to let it all go. If you aren’t truly ready to let the anger and frustration go, it will stay… and I’m not 100 percent now, but I’m way better than I was. I mean, I was holding back panic attacks while I was meditating. I’m not there yet. I honestly think a few weeks of this will do me justice. I’m not saying quit minimalism, spend money recklessly, and fill your life to the brim with obligations and responsibilities. I’m saying that even in the midst of chaos, you can find a peace so still and calm. that it won’t matter how quickly the wind blows. Am I there yet? No. I still get angry at a lot of things before I even have the chance to “ACT,” instead of instantly “REacting.” Nonetheless, I’m going to to work on changing all of this, and I’d like to share this journey with you. How Do I Get A Positive Attitude? 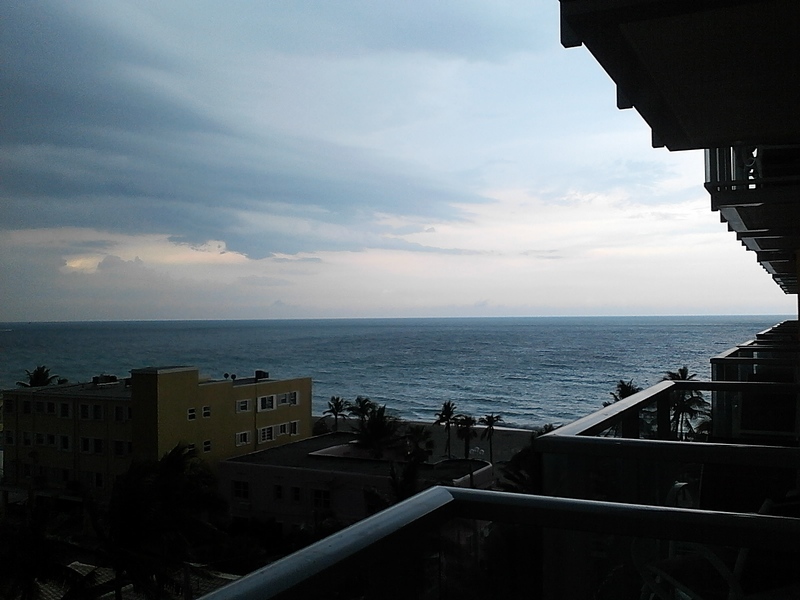 I recently took a staycation-vacation up in Hollywood Beach, Florida with my aunt. During my vacation, I had an epiphany. I am so negative. I never really thought I was. I thought my outlook was pessimistic, but nothing to get up in arms about. Yet, here I was, in Hollywood, Florida, staring out the window overlooking the ocean, and in my head, I was complaining about something. I have this beautiful view, and all I could think about is what is wrong with the world/my life/people/etc. People have called me negative before, but I never really saw it that way. I considered myself a realist. You know, if my professor typically rejects my first ideas in my paper, why would he just accept this one particular idea on this one particular day. I always prayed for the best, but expected the worst. It lessens the blow when a disappointing outcome does occur. Still, when I consider my little amazing-view-but-bad-attitude scenario, I wonder, what’s up with that? I mean, maybe that’s what people mean when they say I’m negative. That I’m so consumed with these other thoughts that I cant enjoy the moment. Sometimes, I do enjoy the moment, but it just hasn’t been happening on the trip. Don’t get my wrong, I am thankful for this trip, and I needed it badly. But it took a while for me to relax into it. Maybe it’s because I carry too much of the past around with me. I drag my outside life with me to a place where I’m supposed to relax and enjoy life. I decided that I’m going to start meditating. Maybe more yoga too, but mostly meditating. That way I can deliberately focus on being in the moment and clearing my mind of any negative thoughts that float around.